IllyOnyx Design Founder Nadine Cox has always loved to express her creativity, either by drawing, painting, writing or graphic design. Cox began her graphic design career in 2007 where she would create and update brochures and diagrams for a company in Calgary. After the birth of her daughter, Cox wanted to work from home with the flexibility to set her hours. Her specialties are banners, postcards, brochures, business cards, custom gifts and décor. “My day-to-day is that of any designer. I love to sit and design,” Cox said. Adding, she checks emails, provides quotes and designs creations while her daughter is at school. Cox works closely with start-up company’s by creating logos, or business cards, and will continue to build promotional material for the business as it grows. One of the main reasons Cox loves graphic design is because no two days are alike, and there is always something new coming up. 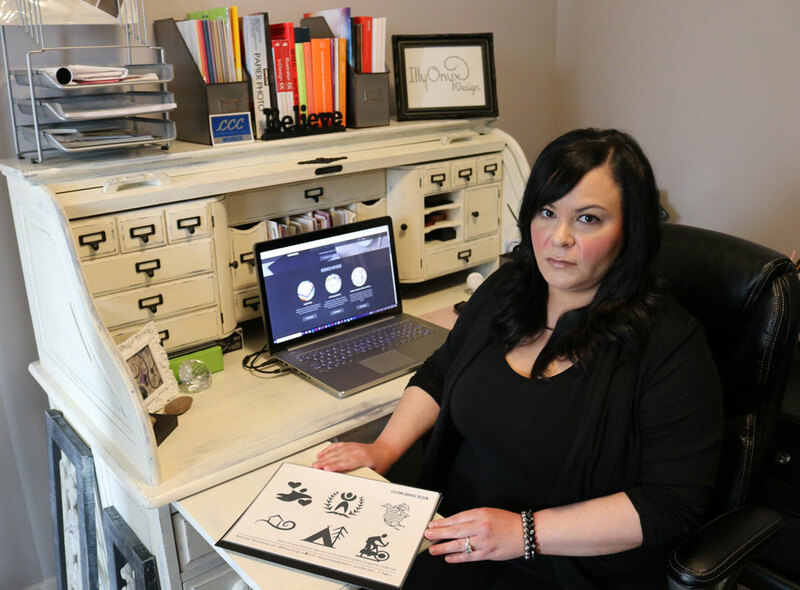 A career highlight for Cox was working with LIFElet, on a seven-week long project where she created over 100 symbols as a way for people to tell their life story on a bracelet. However, Cox has run into challenges competing with a flux of graphic designers in the Chestermere area. “I don’t know any of them personally, but I have recommended them when I’ve been too busy, and I hope they do the same for me,” she said. To overcome competing with other graphic designers in the area, Cox offers a referral program where she will give an existing client a coffee gift card if they refer her a new client, provided the new client’s project nets $100 or more. Although Cox is currently transitioning from part-time to full-time hours, she still finds time to have friends and family over and spend quality time with them. “I read, I love to write, I take walks and bike rides along the pathways with my family,” she said.